I'm not a huge tea drinker. I'm not the type who needs a cup to get going in the morning. I'm no connoisseur of tea and I'll be satisfied with a good old cup of builder's tea, however it comes, as long as it comes with two (and a half...) teaspoons of sugar. If I'm offered a cup of tea, I'll have one, but I'm not likely to make one for myself, instead opting for a squash or a vanilla latte, if there's one on offer. When I do drink tea, I'll only drink about a third of the cup, even if it's a small cup. Tea has to be the right temperature - not too hot that it burns your lips but as soon as it drops to warm I can't stomach it - whereas I'll make a latte last for an hour and not be bothered if it cools down. What I do love about tea, however, is the ritual of the tea pot. My mum has a whole collection of tea pots, each for different occasions and purposes. 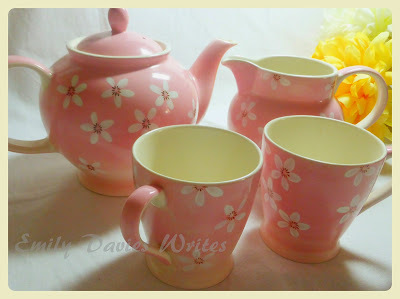 She once gave me a tea pot, a pink floral one that came with a milk jug and two cups. I think it was for my eighteenth birthday or something similar - a coming of age gift, or a house-warming gift - something to signify that I was now a grown-up who would receive guests at home and offer them a cup of tea from my pink tea-pot. Later on I was given a 'tea for one' teapot at my church's women's conference. It was to signify that as women we should always be prepared to gather and unite and make a difference in the world, and that that difference could be as simple as inviting someone for tea. It was a fabulous gift which triggered a string of tea parties and fundraisers in aid of various women's causes, including human trafficking, AIDS widows and orphans, child soldiers and female genital mutilation. 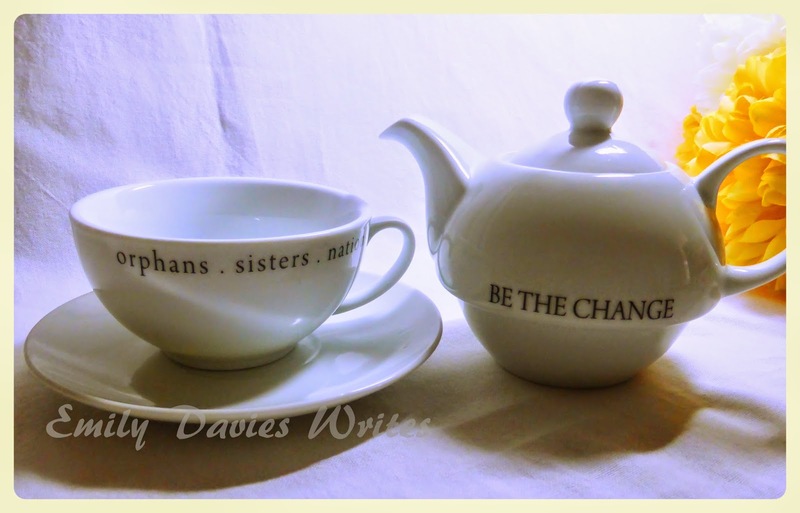 Imagine if every day when you made yourself a cup of tea you were reminded to go out, gather the troops and make a difference in the world - whether that was your immediate world or the world at large. What a difference a pot of tea can make! Recently, upon turning 30, I had the urge to purchase a teapot of my own. I've changed a lot over the past decade and somehow a pink floral tea pot didn't really fit anymore. Again, it felt like a coming of age gift to myself, although purchased with some gift vouchers I received for my birthday. I love having people in my home, welcoming them, hosting them and making them feel comfortable. 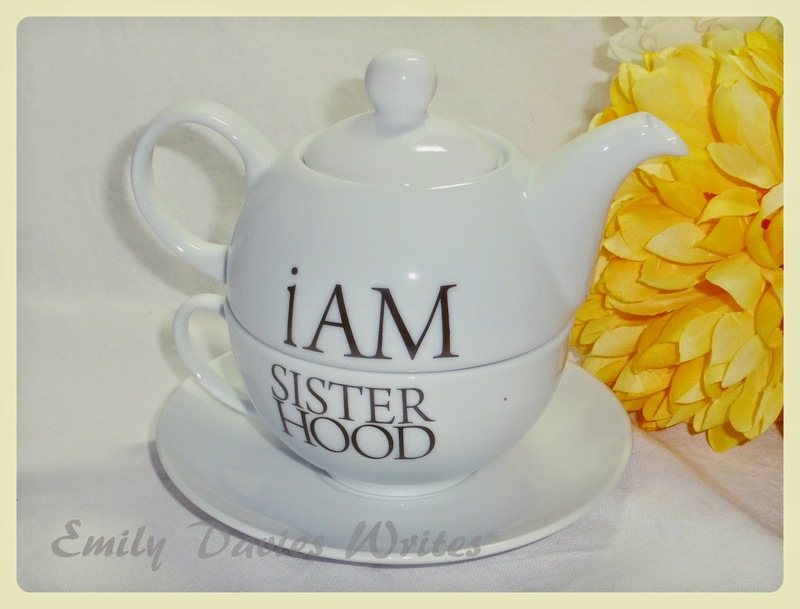 I often have gatherings of two, three or more friends and it felt right that I should have a big tea pot for such occasions where swishing a tea bag in a mug of hot water didn't feel like quite enough. I purchased it knowing that I probably wouldn't use it every day, but it felt important anyway. Now that I have a man about the house it felt important that it should be the type of teapot that he would appreciate also, so that we could enjoy the ritual of tea together. 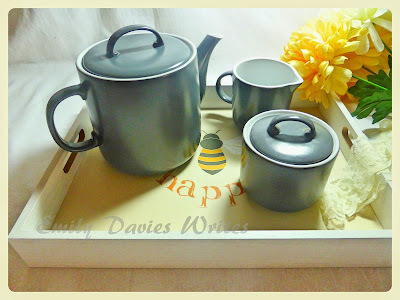 And so, I settled upon this lovely, functional, utilitarian tea pot with a milk jug and sugar bowl to match and I finished it off with a nice tray as well - because there's something about bringing the tea into the gathering to pour which makes the ritual all the more special, rather than hiding it out in the kitchen. As I said, I wouldn't describe myself as a tea drinker. But I am a gatherer. And everyone who gathers should understand the ritual of tea and how it makes people both feel special but at home and comfortable at the same time. It says 'stay a while, pour another cup, let's wait for the tea to brew', it means that we can take our time, I'm not rushing you out, let's talk. Never underestimate the power of a gathering of women fuelled by tea! Teapot, milk jug, sugar bowl and tray all from Wilkos. I'm like you, I rarely make a cup myself, but will drink if offered one. I go for the mug if I make cups, though, even with friends round. You do now have me yearning for that Wilkos set, though, looks gorgeous.